It's one lower! 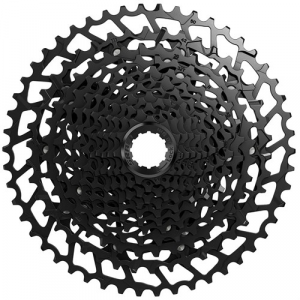 The SRAM NX Eagle PG-1230 12-Speed Cassette has a 11-50t range, giving you that extra low end without losing your high speeds. Optimized gear steps take you from climbing to mashing logically, without huge jumps between gears. And as the only Eagle cassette durable enough for use on eBikes, it can stand up to heavy miles.